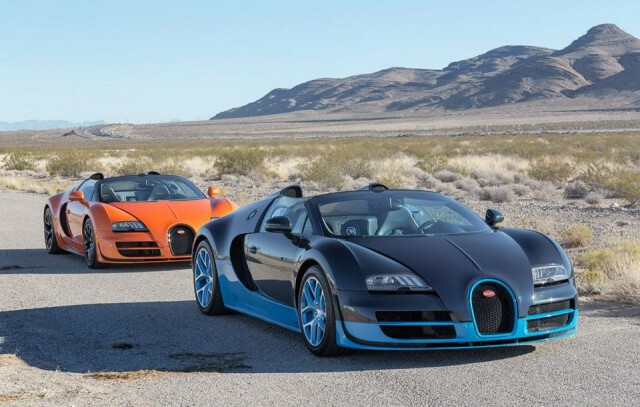 Bugatti has launched the ultimate test drive program in North America. Bugatti's 'Dynamic Drive Experience' is designed to engage ultra-high net worth individuals and enthusiasts of exclusive super sports cars with the brand by providing an unforgettable day behind the wheel of a Bugatti Grand Sport Vitesse, the world's fastest production roadster. Bugatti invites qualified prospects to participate in the 'Dynamic Drive Experience' which features both challenging road courses and high-speed driving on closed roads and airport runways, where the driver can experience the full range of dynamic capabilities of the super sports car. Each participant is accompanied by an official Bugatti Test Pilot to customize the experience and to also provide a comprehensive overview of the car. When the guests are not driving, they enjoy five-star hospitality and opportunities to network with other participants in the program. The individual groups are small-sized to create a personal and exclusive experience. Bugatti's 'Flying Doctors' are also present to talk about the ownership experience and explain what they could expect from Bugatti's personal concierge as an owner. Following the first dynamic drive experience in Las Vegas in November, the French luxury brand plans to execute a total of four events annually in the U.S. and Canada. Each will be held at the most exclusive properties in North America in cities that are conducive to great driving roads and stretches of highway or runways that allow high-speed driving. Safety is a top priority so Bugatti works in tandem with the Highway Patrol as well as regional highway safety agencies. The next event is scheduled to take place in early 2014 in the Southwestern United States.